Image: Sonic/Original photo was cropped but not altered for this article. Coachella is known for its eye-catching fashion, and this year Sonic wants to add visually intriguing food to the mix too. 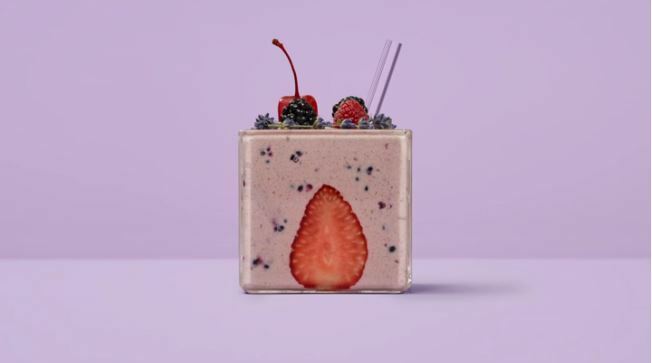 It’s teaming up with Instagram-famous chef Christine Flynn to bring artfully composed square milkshakes to the masses at SoCal’s hottest music festival this year. It’s kind of gimmicky, sure, but the milkshakes actually look (and sound) delicious. The shakes will be served in a square cup with a square straw — even the cherry on top is square. The idea is that the shakes are an homage to Instagram’s square-photo format, which makes sense. Chef Flynn is known for her parody Instagram account, where she takes fast food and junk food and transforms it into plates worthy of fine dining, and with its desert landscape, Ferris wheel and wild fashions, Coachella is pretty Instagrammable too. Introducing #SquareShakes—the world’s first shakes designed for Instagram! Inspired by SONIC's delicious new Creamery Shakes. Watch the full video by clicking the link in bio. Because of this, the shakes themselves will be ordered via Instagram. Festival-goers will see targeted Sonic ads on Instagram on April 16 and can click a “shop now” button to make their selection. Then, using geotagging, Sonic will deliver the shakes to them wherever they are on the festival grounds. Once you get the shake, just snap a pic, and post it to Instagram — basically the shakes are free in exchange for the Insta-publicity. Sounds a lot easier than standing in line!